Roosevelt's World: Why Results Based Goal Setting Is Counterproductive To Goal Achievement! 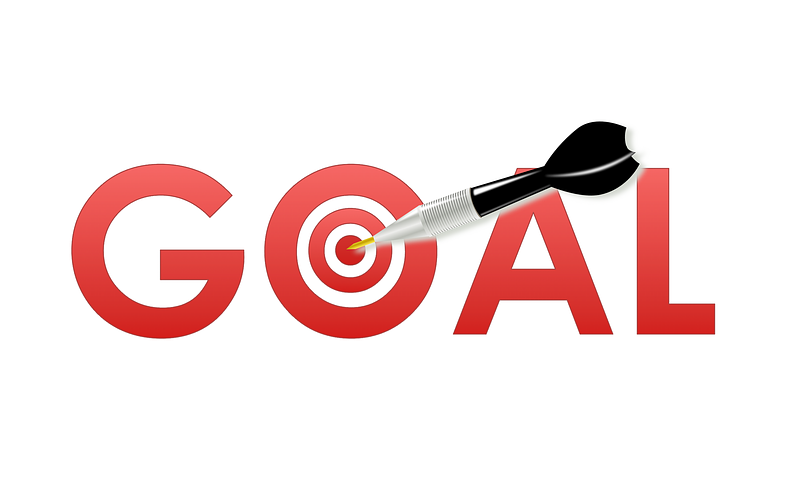 Why Results Based Goal Setting Is Counterproductive To Goal Achievement! Welcome to the first blog post here at Roosevelt's World! At this blog I share thoughts of a wide variety of topics including finances, parenting, love & relationships, Christianity and personal development/achievement. My goal is that you will find value in what I share. These are my thoughts based on my own experiences and observations. I recognize that others have different experiences and observations. I'm not looking to invalidate your experiences if they differ from mine. I'm just here to share mine. You can chew the meat of what applies and is acceptable to you and spit out the bones of what doesn't apply or is acceptable to you. My first topic is an area that is near and dear to my heart. Goal setting! I have been an advocate of setting and achieving goals for most of my adult life. Since this is something that I have consciously focused on I have had the opportunity to see what has worked for me and what has not worked for me. As a result, I have come to the conclusion that setting results specific goals is one of the most counterproductive actions that you can take to goal achievement. In some cases (not all) I have found it to be even more counterproductive than not setting a goal at all! Now some of you might have just experienced an "A Ha" moment. In your heart you may have questioned the process of results based goal setting. However, because there is such a heavy focus on it in the goal setting arena you may have thought that perhaps you might be missing something. I'm here to tell you your objections are valid and I share them. Others, you might have cringed when you read this. How can results based goal setting be counterproductive? How can you achieve anything if you don't have an end result in mind? I hope that at the conclusion of this post I have clarified why I believe this is the case. So why is results based goal setting counterproductive? Results based goal setting is counterproductive because in many, if not most cases you have no control of the final result. This means you can do everything you possibly can to achieve success and STILL fail when you tie success to a specific result that you don't control. For many years, I was involved in sales. In sales, your objective is to achieve the result of a customer purchasing the product you sell. Most, if not all sales companies have sales quotas that you need to meet in order to be successful. Therefore most sales people have goals that they set that are tied to the achievement of these sales quotas. The problem with this is no matter WHAT you do, your success is completely dependent upon OTHER people taking action that you have NO CONTROL over. Can you influence it? Sure, you can influence it. In fact, good sales training is designed to teach you how to influence it. However, no matter how much you attempt to influence it, you cannot control it. The control is with the customers. Multiple customers, in the case of sales quotas and multiple customers AND sales people in the case of leading a sales team to achieve a sales result. While I could take action to improve my skills at basketball, there was nothing that I could do to improve my height, my natural talent or reduce these factors for the players trying out. Results Based Goal Setting does not acknowledge the fact that I may have simply not had enough of all these factors to play high school varsity basketball in New York City. Now if you are a person who can fail repeatedly at a goal that you might not have any shot at achieving then it might not matter as much. However, if you are a person where setting goals that you have no control over can have a negative impact on you, this can be a major hindrance to you. I was involved in a network marketing business. While I made money and built a team, my business reached a plateau that it was never able to surpass. Meanwhile I seen others who might not have worked as hard as I did surpass the level I was trying to surpass with ease. Can you imagine how frustrating that was that no matter how hard you tried you never could get pass that level? Setting results based goal every single month only to fail over and over again. I couldn't even enjoy the success I did have because I constantly had the negative cloud of not reaching that level over my head. Never realizing that there were many factors outside of my control like customers deciding to buy and team members taking action to present the product to customers. It eventually drove me out of that business. Even major global corporations with billions of dollars of resources still fail to achieve their results based goal. If you follow the stock market I'm sure you've seen companies, even successful companies who missed an earnings projection. If a billion dollar company with vast financial resources and some of the smartest minds involved miss results based goal, how much more difficult is it for you by yourself? Does this mean that we should abandon all results all together? No I don't advocate that. Results are still required in life. If you don't achieve the result of getting a job, getting a customer in your business or getting a return on investment you cannot provide for yourself and your family. So we do need results. I'm not bashing the achievement of results. I'm bashing setting goals based on results where your control over those results is limited at best. Set goals on actions that YOU can control. Looking to generate $1,000 in sales in your business? Set a goal for buying a certain amount of advertising that will make this happen. Or creating a certain amount of online content. Or cold calling a certain number of perspective prospects. Looking to lose weight? Set a goal for keeping your calorie intake under a certain amount. Or a goal for running on the treadmill for a certain amount of minutes. If the activity truly correlates to the result, you will achieve the result anyway. Activity based goals also help you to recognize that no matter how how many affirmations you do or how much activity you engage in some results are just not going to happen for you and that's ok.